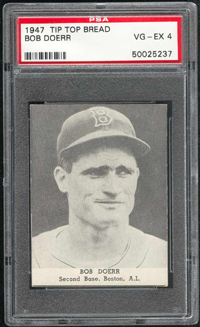 Bobby Doerr was known for his reliable defensive play and potent bat. 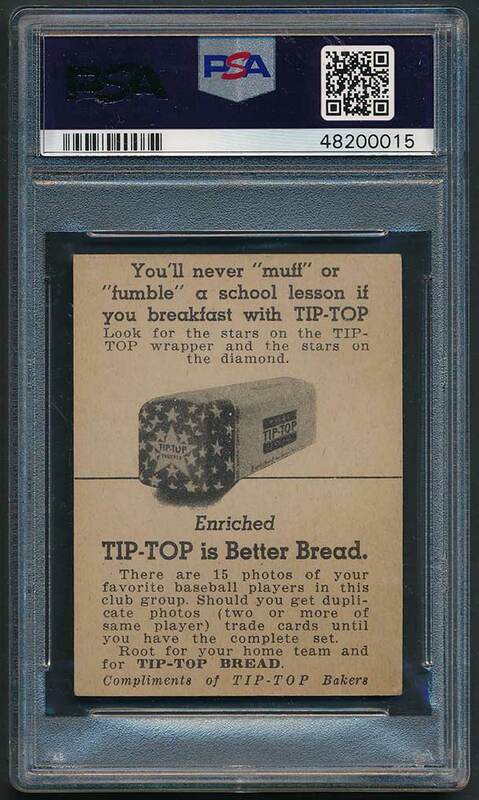 For 14 seasons he was one of the best second baseman in the game, spending his entire career with the Boston Red Sox, and never playing a game at another position. 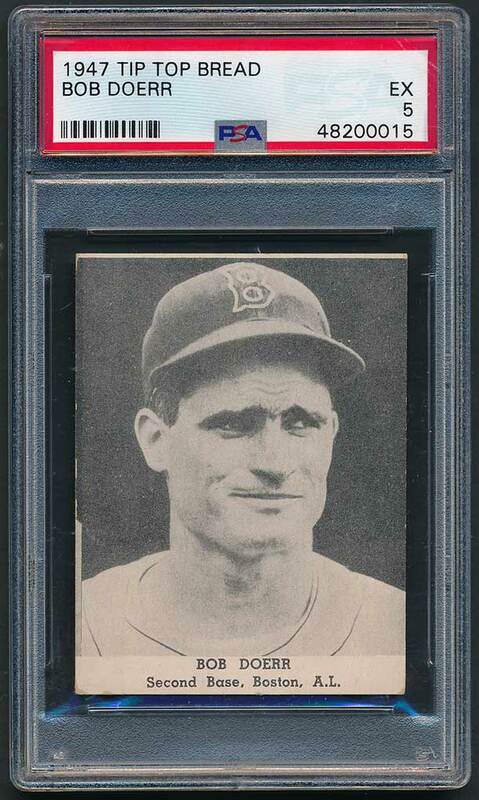 In 1944, Doerr was the AL MVP, leading the loop in slugging at .528. 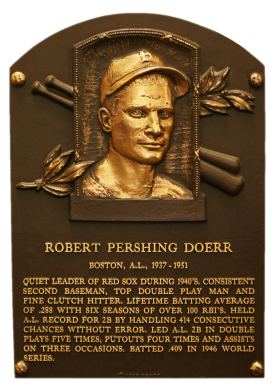 Doerr had a career .288 average, 223 homers, and 1,247 RBI. Comments: I was walking the floor at The National in Atlantic City, NJ in 2003 and found this card raw at Bob Kaiser's table. I had never seen the card before and it was perfect for my collection. I really liked the card and didn't own a Tip Top. I tried to negotiate the price down but Bob wouldn't budge. I remember walking around and back to it several times. I finally broke down and wrote the check. Since, I have only found 2 or 3 other copies, none of which were close to the condition of this one. I'm thankful I didn't walk away from it. Description: This 163-card set actually consists of a group of regional issues, some of which are scarcer than others. 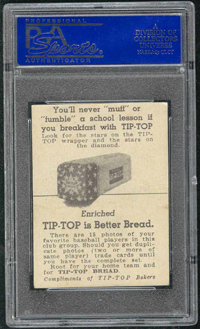 The 2-1/4" X 3" cards are borderless at top and sides, with a black-and-white player photo below which is a whole strip containing the player identification. Backs carry an illustrated advertisement. The set is known for a quantity of obscure players, many of whom played during the talent-lean World War II seasons.